In case you missed this week’s previous two posts, I have been going through my stash of “unsung heroes”. I wrote more in depth reviews of some products that have been favorites of mine for a while, but did not receive all the praise that they deserve. 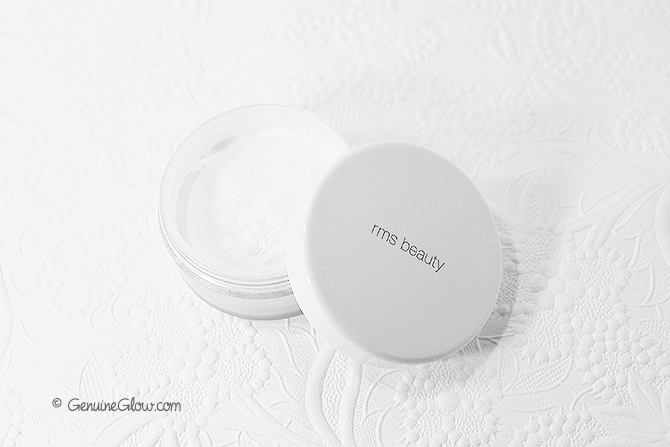 Today’s protagonist is the RMS Beauty “Un” powder, which I mentioned as one of my two Summer weapons to stay shine-free. Although the hottest days of the year are gone, my oily T-Zone is still very much in need of it! The Un-powder is a loose powder made of 100% silica, which is oil-absorbent. You may be already familiar with another popular setting powder that is made of 100% silica, the MUFE HD Setting Powder. However, the un-powder is made of spherical-cut silica, which is meant to be less hazardous than sharp-cut silica (like the MUFE one). As far as the shade, the powder is translucent and so finely milled that becomes completely transparent when applied on the skin. A question that I get asked very often is whether or not this powder leaves a white residue on my face, because silica powders can leave a white cast in photos under flash lights. Although this powder is light-reflective, I have not noticed any white cast in my photos (did you notice anything like that in the photos I published on the blog?) and I am convinced that it depends on the amount applied. I get the tiniest amount possible on the tip of my fluffy face brush and only pat it on the center of my forehead, nose, sides of my nose, and chin. Even though the amount that I use is very little, it is enough to keep my skin completely matte all day long. In addition to making my skin completely matte, the powder also makes my skin look better, by softening the appearance of certain imperfections, such as fine lines and pores. No caked or dry-looking skin, just a smooth and “velvety” feel. It is also perfect to set concealer and certain creamy products like cream shadows (if you have oily lids like moi this is a saviour!) and makes each product stay on longer and better. If you have oily skin this may really, really make your beauty life much easier. 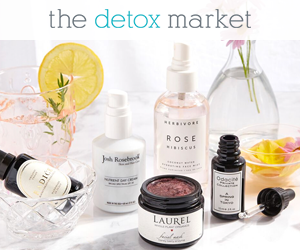 You can find the “Un” Powder at The Detox Market. You can also check out the newest, tinted version of the Un Powder here.